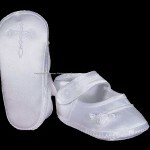 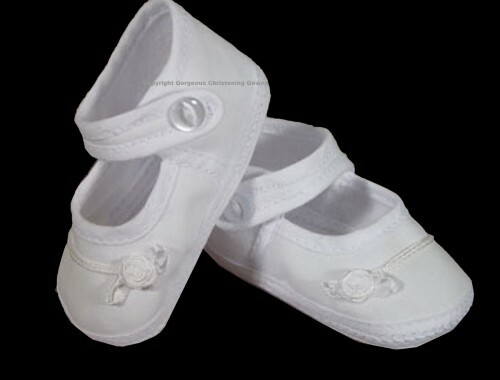 Beautifully constructed girls Christening shoes made of 100% cotton batiste. 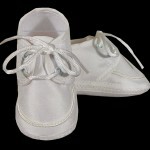 Accented with tiny braid and ribbon rosette. 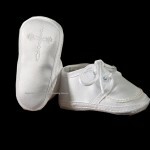 A faux button closure actually hides a mummy-friendly Velcro tab.